The Hollywood Diversity Report 2018 is the fifth in a series of annual reports that examines the relationship between diversity and the bottom line in the Hollywood entertainment industry. It considers the top 200 theatrical film releases in 2016 and 1,251 broadcast, cable and digital platform television shows from the 2015-16 season in order to document the degree to which women and people of color are present in front of and behind the camera. It discusses any patterns between these findings and box office receipts and audience ratings. 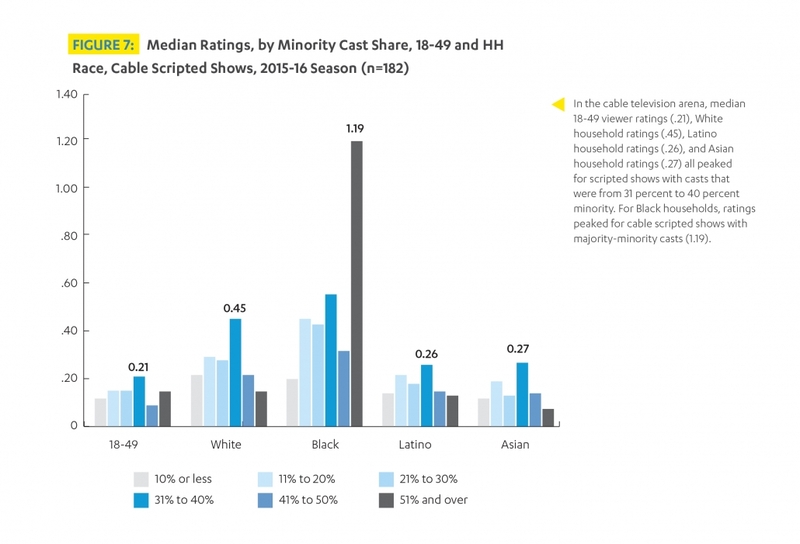 Consistent with the findings of earlier reports in this series, new evidence from 2015-16 suggests that America’s increasingly diverse audiences prefer diverse film and television content. Previous releases in the Hollywood Diversity Report series present evidence supporting the idea that diversity sells when it comes to industry-produced films and television shows. People of color constituted nearly 40 percent of the U.S. population in 2016, and their share is growing by nearly half a percent each year. 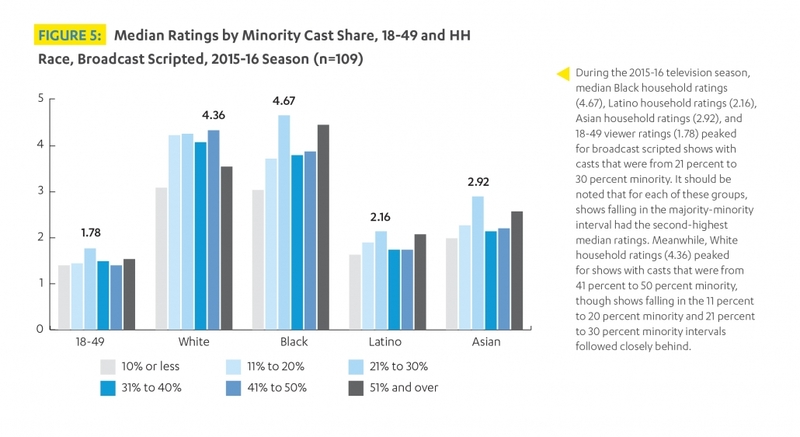 Increasingly diverse audiences, the evidence shows, prefer film and television content populated with characters to whom they can relate and whose stories drive the narrative. Europe accounted for only about 7 percent of the world’s population and 17 percent of the world’s gross domestic product (GDP) in 2016, which underscores the reality that today’s (and tomorrow’s) global market looks much more like the diversity of America than the White audiences that traditionally drove Hollywood’s greenlighting practices. In short, the previous reports in this series dispel a stubborn Hollywood myth that in order to reach the widest audiences possible, films and television shows must center White characters in their narratives and relegate racial and ethnic others to, at best, supporting roles. This report adds to the growing body of evidence that diversity is essential for Hollywood’s bottom line. Global box office and television ratings, on average, are highest for films and television shows with relatively diverse casts. 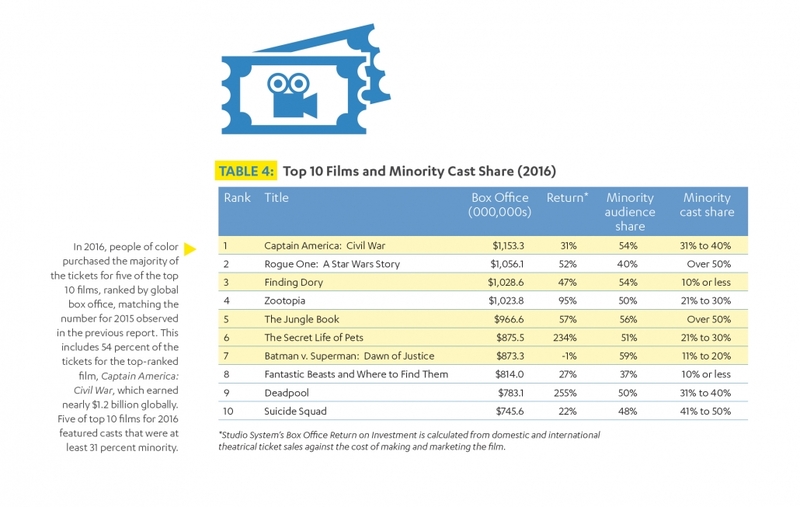 Indeed, a consideration of top 10 films and television shows underscores how important diverse audiences have become as drivers of box office and ratings, and that these highly engaged audiences prefer diverse content. But the report’s findings also reveal missed opportunities. For example, we see that Hollywood continues to produce a plurality of films and television shows with casts that are 10 percent minority or less, despite the fact that these projects are collectively among the poorest performers. 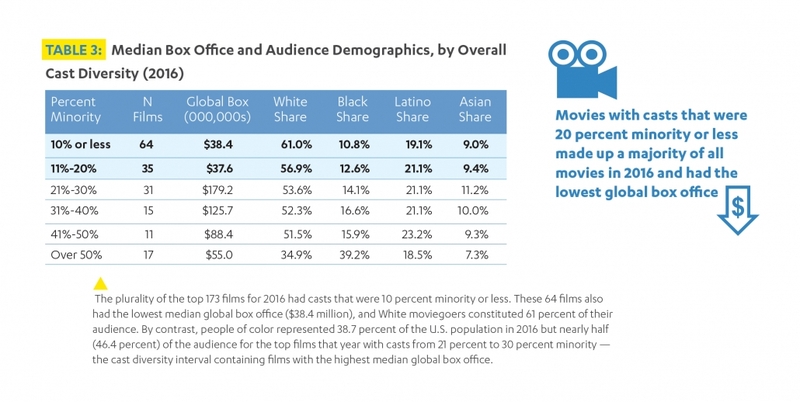 It also appears as if the industry undersells the relatively small number of films with diverse leads and casts in a global market that is primed to connect with them. This post contains excerpts from the Hollywood Diversity Report 2018 that was released on February 27, 2018. To read the latest report, download it HERE. To read the previous four annual reports, click HERE. This research is led by Dr. Darnell Hunt, Dean of Social Sciences and Professor of Sociology and African American Studies at UCLA. 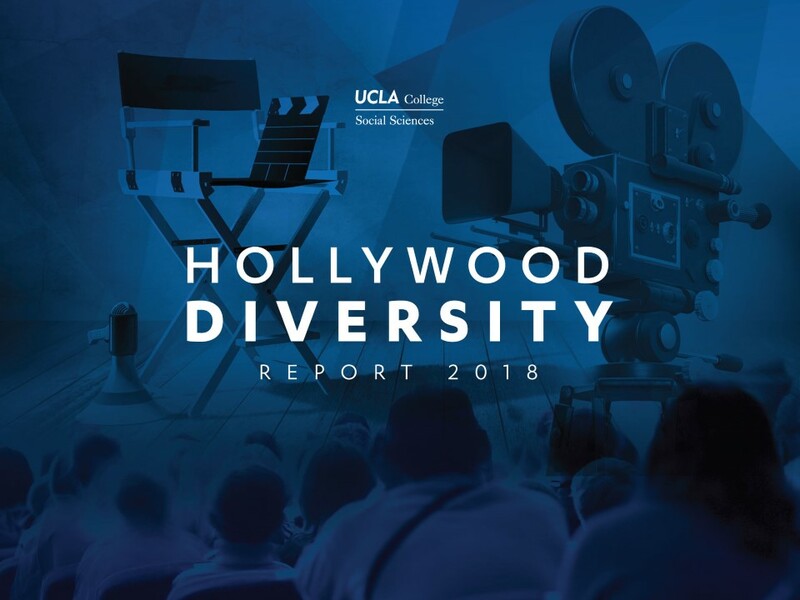 If you are interested in learning more about the Hollywood Diversity Report research, please contact the Director of Research and Civic Engagement for the Division of Social Sciences, Dr. Ana-Christina Ramón, at acramon@ss.ucla.edu. If you are interested in becoming a sponsor of the report or donating to this research, please contact the Executive Director of Development for the Division of Social Sciences, Julie Strumwasser at jstrumwasser@support.ucla.edu.